We have some good news, especially if you are a fan of the Marvel UK Transformers comics. 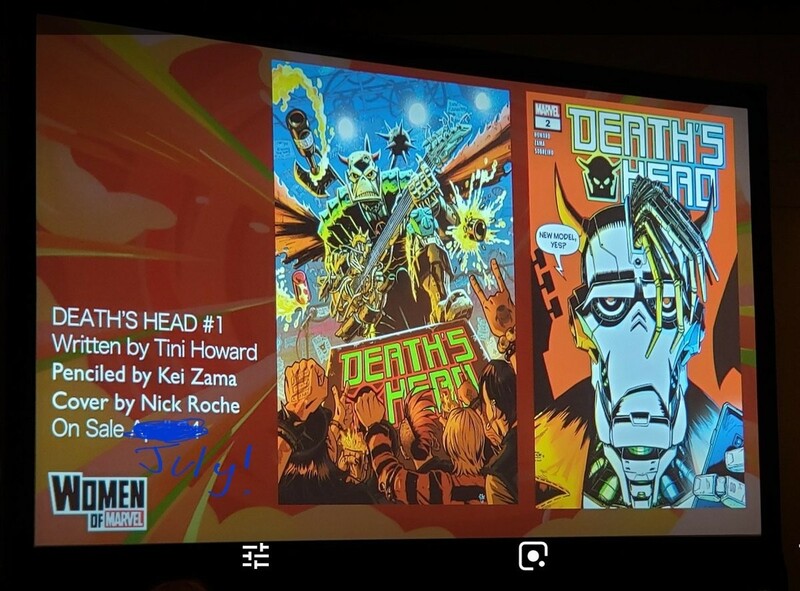 At C2E2 (a Chicago based comics convention), Marvel revealed that there will be a new Death's Head comic. 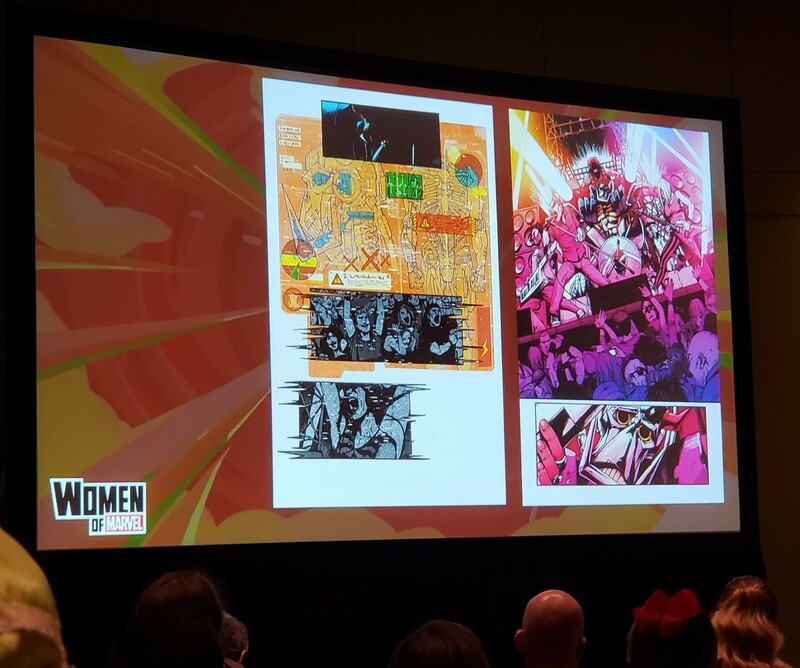 It will be written by Tini Howard, with art by Kei Zama who Transformers fans know well from Optimus Prime. 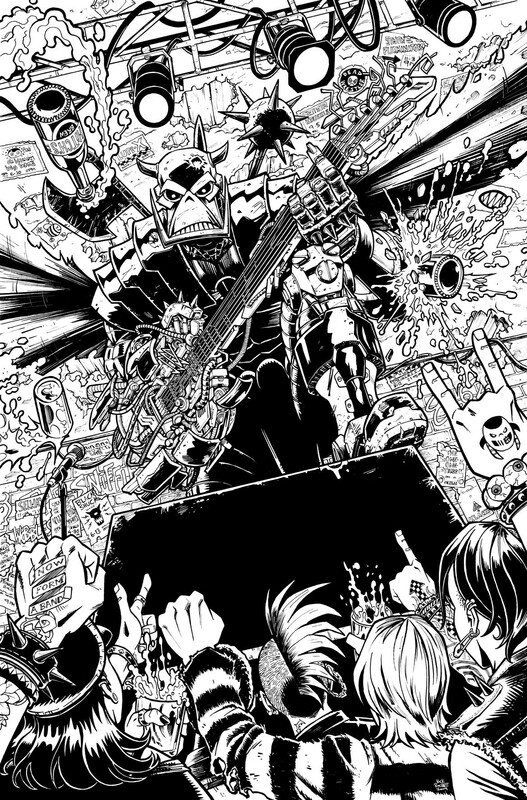 The cover shown is by Nick Roche, another Transformers comics legend. More NEWS out of #WomenOfMarvel panel: @TiniHoward is exclusive to @Marvel! 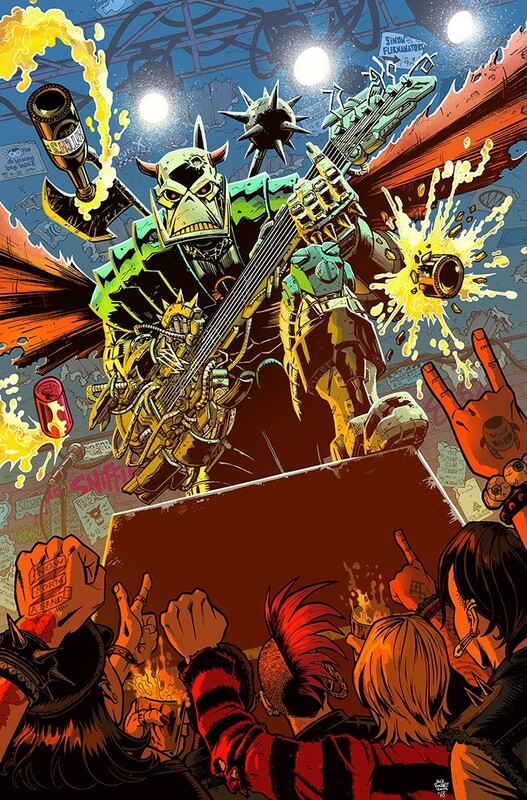 AND SHE'S WRITING A NEW DEATH'S HEAD SERIES!!! With artist @kei_zama! Wiccan and Hulkling are in the book as well! YES! YES! YES! Thanks to Scotty P for letting us know! i think zama's art will work beautifully on this. the interior in the pic is VERY geoff senior in his prime. if it was written by coates or gillen i'd be ecstatic but i dont know howard from eve and considering the absolute dumpsterfire marvel has been on the comics front the last 4yrs or so i dont hold up much hope . i honestly wouldnt be surprised at this stage if whole swaths of the story revolve around getting coffees and eating pizza. still i'll give it a chance as i love the idea of him bobbing around the marvel universe again. Cautiously optimistic. New designs though. 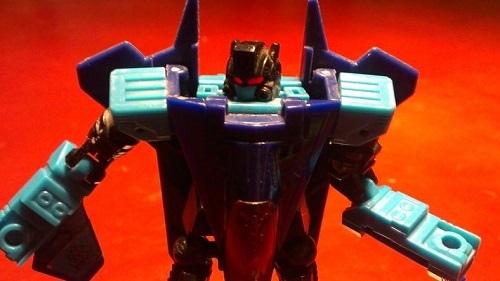 Always though Senior's original design was properly iconic. Why mess with it? Still, I'll have a look. Wonder if he's be gigantic, or human size? Last I saw him, in Iron Man, he was transformer sized. Big Grim wrote: Cautiously optimistic. New designs though. Always though Senior's original design was properly iconic. Why mess with it? Still, I'll have a look. Wonder if he's be gigantic, or human size? In the Darkhawk book last year he was people sized again. Big, but not Transformer big. Oh yeah! I forgot about that news post. Good call, thanks. 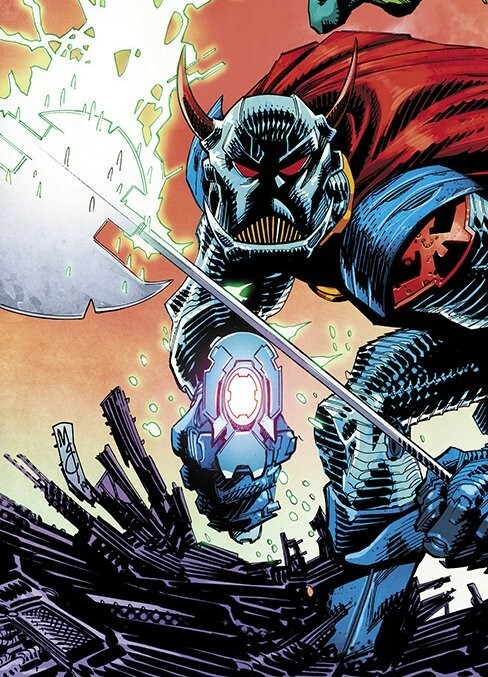 Honestly curious, not trying to start controversy, but considering where/when this was revealed, and the new design, I wonder if they are trying to insinuate that Death's Head is now female? o.supreme wrote: Honestly curious, not trying to start controversy, but considering where/when this was revealed, and the new design, I wonder if they are trying to insinuate that Death's Head is now female? God I hope not, but I am pretty sure the Women in Marvel tag is strictly in reference to the creative side. But god I am sick of genderbendibg existing characters. Maybe if this were a Death's Head IV, I could get behind that one being female, but leave the classic DH alone. Why the heavy Metal stage I wonder? The second cover has a guitar on his back, so it must be important, no? It could easily just be trying to do a robotic-grunge like look? I mean even though DH is not a Transformer, we've seen some Transformers and other Robots with facial hair occasionally. I was just curious. Yeah It stands to reason the announcement has more to do with Women being involved in the creative end, but with all the mess surrounding Captain Marvel (which I've steered clear of), I wasn't sure. Flashwave wrote: Why the heavy Metal stage I wonder? The second cover has a guitar on his back, so it must be important, no? 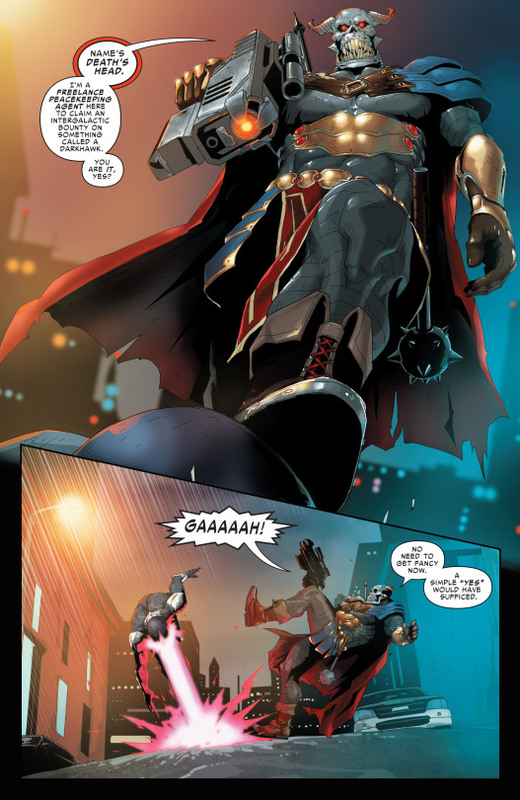 Really cool how after all this deaths head II business and the character's evolution, he is back to looking like his old school self. And yes, it does look like Geoff Senior in his Prime. That Black and White really shows the detail. I guess thats his Axe-hand.